Throughout his career, the British photographer Michael Kenna (born in 1953 Lancashire), has travelled around the world looking for emblematic landscapes. These well-known spaces are a playing field for the photographer who experiments with the power of black and white, minimal compositions, and the enigmatic characteristic of long-term exposure times used at dawn or dusk. 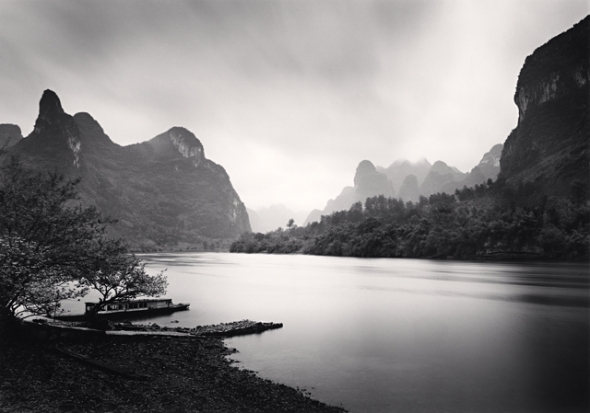 In China, Michael Kenna created three main series entitled China (2006-2011), Huangshan (2008-2010), and Lijiang (2006). Whatever the landscape – either urban or natural – he pushes photography's limits giving it a pictorial aspect, where trees resemble paint strokes, the fog an ink wash, the building a mountain. 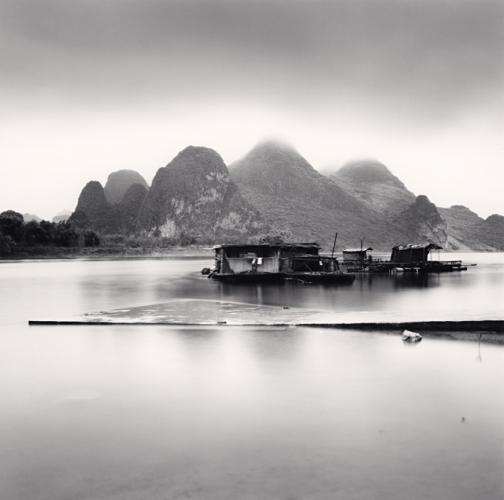 In doing so, he manages to immerse the viewer into a sensual experience exposing the universe of shanshui photography (a Chinese term referring to traditional landscape paintings) where water, mountain, sky and earth unite, collide, reveal. Preferring the power of suggestion to that of description, the artist brilliantly provides multiple reading levels to his minimalist representations.